What do you get when you have an office of hungry marketers and a nearby downtown filled with great restaurants? 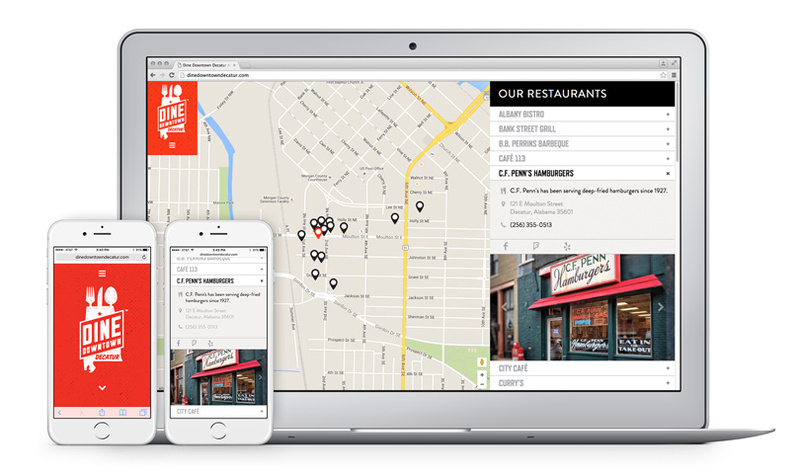 An award-winning microsite that encapsulates the spirit of Decatur’s diverse cuisine all at the tap of a smartphone screen. Designed to make on-the-go dining decisions that much easier, Dine Downtown Decatur is your friend about town, who knows the ins and outs of all of the hottest spots. Want us to let you in on a little secret? It’s all good!